Payslip is a note given to an employee when they have been paid, detailing the amount of pay given and the tax and insurance deducted. As an employee of an organization you did receive a document each month while receiving your salary from employer, it is known as payslip. 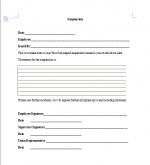 It is a very important document or a printed piece of paper given to someone who is working as an employee in a company or business to show the total money paid by employer for a particular period of time as salary. A payslip normally show details about an employee’s pay just like total money earned for the month or particular period of time, paid amount, sum of money deducted as tax, pension and other contributions like National Insurance contributions etc. Payslip is a handy document to check and understand that either you have been paid correctly in return of your services by your employer as well as that the right amounts of tax and insurance have been paid on your behalf or not. Methods to prepare payslips are different in several companies some prepare manual and many other use software and applications to do so. 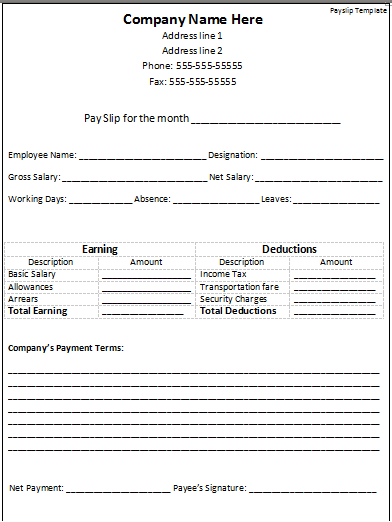 Payslip template is also a best and easy way to prepare payslips easily. Major purpose of payslips is to provide a well organized break up of an employee’s salary in easy to understand format and these assist a lot in calculation of tax and many other purposes. Well made payslips with all necessary details give employees a way to keep track of their payments on another hand helps a lot an accounting officer to maintain a record of salaries. A payslip may include name of employee, total amount earned by the employee, working days, paid amount, allowances and contribution deducted and payment date etc. 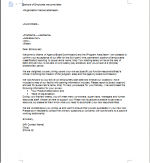 A payslip may be required by a bank or any other financial organization on the time of providing loan to an employee. All kind of employers are legally obliged to give employees an itemized payslip whenever they are paid but some of them don’t take it serious. There is large number of applications, software and systems available that employer can utilize to prepare payslips for their employee but use of such techniques can increase the cost for a small business. Hence payslip templates are also obtainable on internet to prepare effective payslips in short time. As an employer, you must pay your employees.